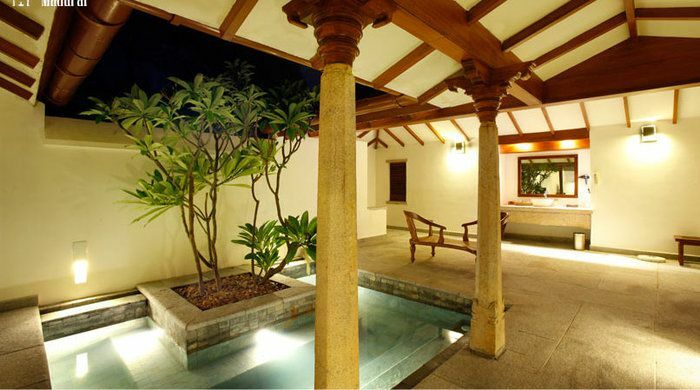 Found in a western suburb of Madurai, guests at the Heritage will be well placed to explore a destination known as one of the oldest continuously inhabited cities in the world. Home to Meenakshi Amman, a gorgeously colourful skyscraper of a temple that remains an important symbol for the Tamil people, the city also boasts a historic old town of buzzing markets, and an opulent 17th-century palace. Madurai is also a major centre for Tamil language and culture. Rooms at the Heritage come in different shapes and sizes, each with a sun deck and private plunge pool. For those wishing to indulge to the full, the Luxury Villas’ sleek teak flooring opens out onto a private courtyard, recalling luxury wellness retreats the world over. 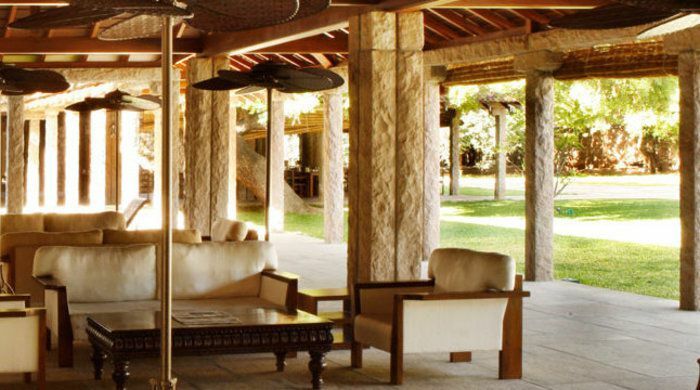 The Geoffrey Bawa Rooms, named after the architect who handled the restoration of the hotel, are spacious semi-suites that exemplify his tropical modernist style. 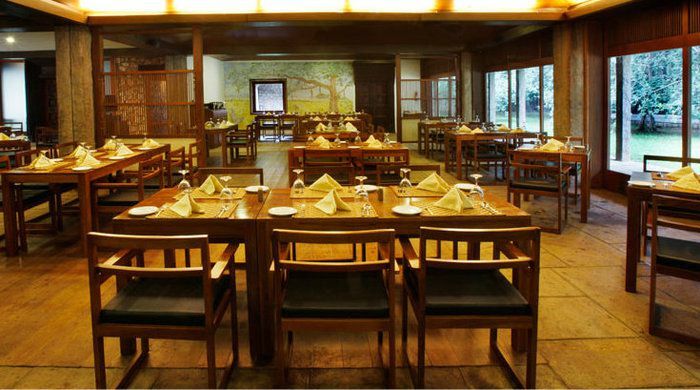 Formal meals at the Heritage are taken at the Banyan Restaurant, a beautiful spot inspired by banyan trees on the property that are over two centuries old. Fine contemporary Indian and International delicacies abound, while less formal food choices can be found at The Coffee Shop, which also serves a tempting range of teas, coffees, sandwiches and pastries throughout the day. Relaxing sundowners can be imbibed at the Swig and Tee Bar in the old clubhouse building. 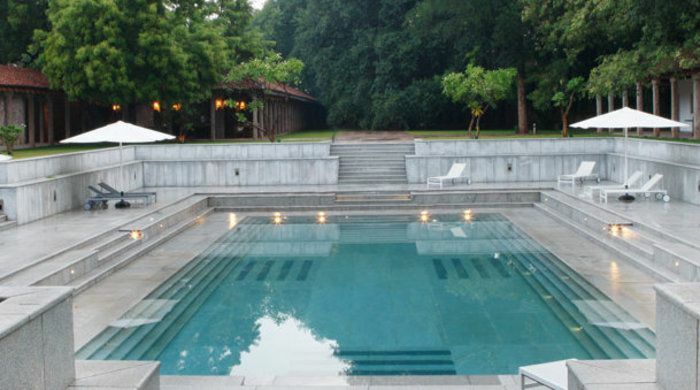 Perhaps the standout feature of the hotel is its giant pool, modelled on a water tank at the Meenakshi Amman temple. This inviting, Olympian-proportioned pool is the perfect place to cool off after a hard days’ sightseeing, or even after an easy days’ sunbathing. The Heritage Spa offers another method of indulgent relaxation, with Ayurvedic massages among many soothing treatments available. This luxury tour introduces you to the flavour and spice of Southern India. Relax and observe whilst the delicate aromas of cardamom, cinnamon, nutmeg, ginger, turmeric and curry leaves perfume the air.